Experts are not what they know but what they do. OK then, I want to learn Laravel the O’Reilly “Head First” way. 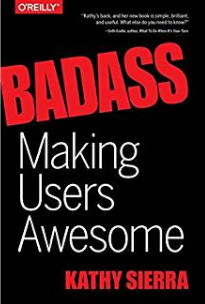 Kathy Sierra came up with the idea when she started writing books on Java around 2003: Kathy says: you don’t focus on the tool, you focus on making the user of the tool awesome. So how does one make the user awesome? One breaks the subject matter down into small lessons, and repeats them alot, to achieve a fast learning flow. Also using whole-body techniques– Splash! 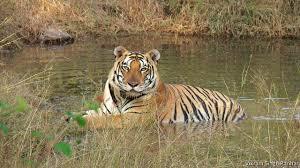 Wake me up with a tiger to get my attention. I’m so old my childhood memories are in black and white. Me and my imaginary Dad, 1873. I was working on figuring out how to log ftp scripts, and discovered how to use a remote file: .netrc to store usernames and passwords. So I’m going to have to apply that to a number of scripts in the DigitalSignage program I’m working on. Hmmm, which makes me realize I’m doing the same for the main RETS library I’m accessing! Then I randomly clicked on a YouTube “Tech Code” channel and watched a guy describing how he accidentally hard-coded a password into his program, and saved it to git–thereby uploading it to anyone who has access to the source code. Yikes! The solution to hard-coding usernames and passwords into programs that get moved about is to use an environmental file: .env (for python or laravel for instance) that stores the either local or remote (test / production) settings. Of course! Those who speak of faith (even without “radical self-understanding”) are involved with the Principle of Divine Communion, because they somehow “know” that the “twenty watts” of their ordinary life contain practically nothing of the Vast Power of Existence. Faith is the presumption of the Vast Power, the “Unlimited Wattage” of the One Divine Reality. The “Narcissistic” hope for the goods of life–“God, I want you to give me a million dollars”–is not faith. Faith is leaving behind the limited principle of the body-mind-“self” and the “world”, and presuming the Greater Principle of the Self-Existing and Self-Radiant Divine Reality. from MY “BRIGHT” SIGHT, by His Divine Presence, Avatar Adi Da Samraj, from the talk, “Guru, Faith, and Divine Communion”, page 9. I feel crypto currencies and smartphones will obsolete paper money in the coming decades. This book: The Internet of Money is a good non-technical introduction to bitcoin technology.